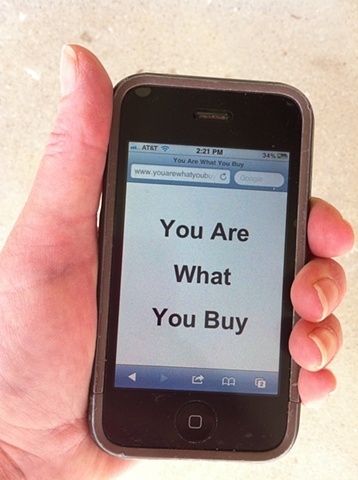 Michele Pred - "You Are What You Buy" One of the hidden messages that appears when you scan my QR Codes. One of the hidden messages that appears when you scan my QR Codes. To many companies and organizations, and even to many individuals, we are most clearly defined by what we buy. Increasingly, our experiences and choices, are influenced by our interaction with the commercial world. Our buying histories and patterns are collected and examined... bought and sold.